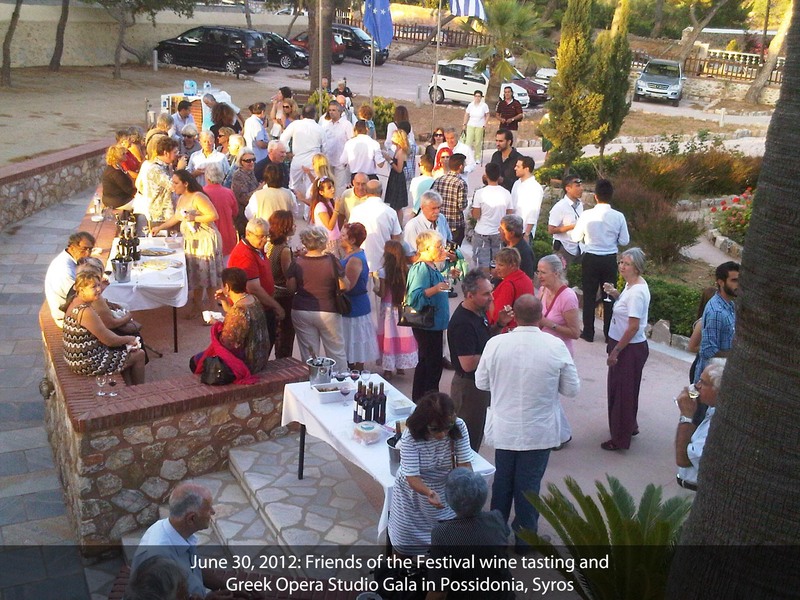 The Festival Kickoff will include a wine tasting featuring Cycladian wineries, the introduction of Festival artists and directors, and a performance of Arias by the Greek Opera Studio. 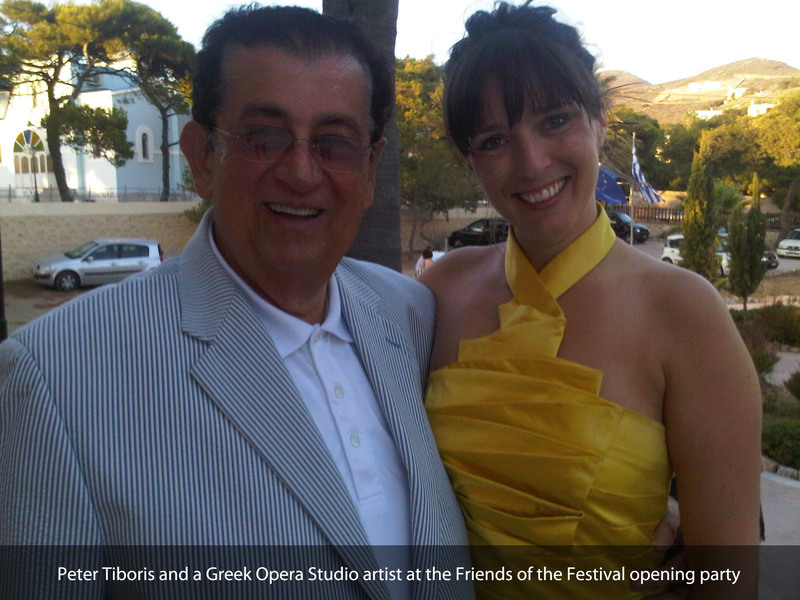 Presentation by Mayor Yannis Dekavallas to Peter Tiboris and the people of Syros, of the "Festival of the Year Award in Greater Greece" for July 2011 Festival of the Aegean, given by the National Music and Theater Critics Association of Athens. 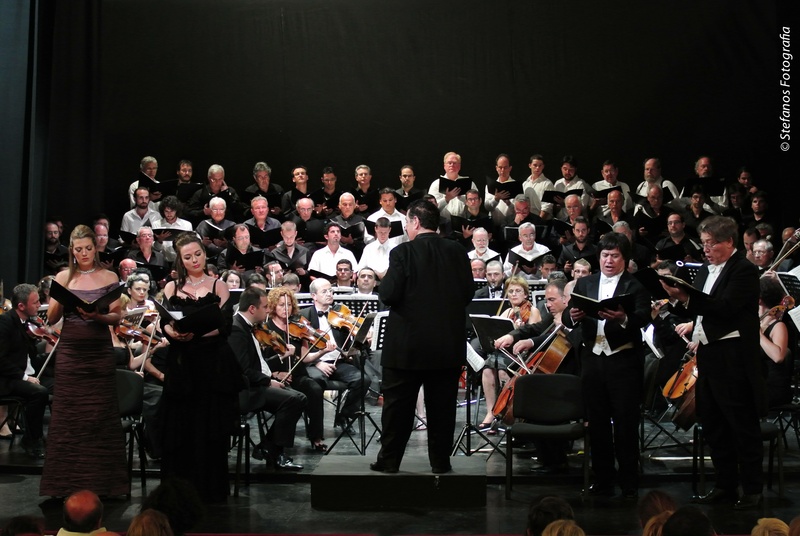 The award was first given to Mayor Dekavallas on December 12, 2011, at Megaron Musikis in Athens. "The Epic and Historic Genius of Beethoven"
"The December 9, 1905, Dresden controversial opera by Richard Strauss that changed the course of music in the 20th Century"
"Pergolesi's Voices from Heaven & the Lyric Elegance of Schubert"
St. Nicholas Church - 6 p.m.
"Sunset a cappella choral concert—Sacred Music in a Sacred Place"
"Beethoven's Triple Concerto & the Sweeping Power of Symphony No. 7"
"Family One-hour Rush Concert: Getting to Know the New Zealand Trio from Down Under"
Sunday, July 15, 2012 - 10 p.m.
Bring a chair, come early. Monday, July 16, 2012, 7:30 p.m.
"Stylistic Variations on a Song by Mikis Theodorakis"
Past, present, and the future of piano music are combined in this piece, which posits that music always arises from what people want to sing. The core of this work is a Greek melody from a song titled ''Denial'' or "At the Secret Shore," written by composer Mikis Theodorakis and Nobel Prize-winning poet George Seferis. “Stylistic Variations for piano on a song by Mikis Theodorakis” is a set of 32 variations, each of which references the style of a composer or epoch starting with Couperin and and traveling through the history of music to Mozart, Webern, Debussy, Chopin, Keith Jarret, pop music, and the electronic sounds made by computers and heard through speakers in the concert hall (thus representing the future of piano music). All events at 9 p.m. unless otherwise indicated and subject to change without notice.